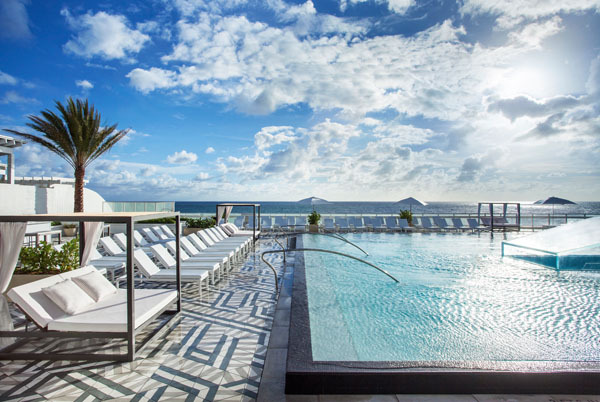 Summer is approaching, slowly but surely and with W Fort Lauderdale and Residences new renovations; there is no excuse not to dip your toes in the calm blue waters at your own Florida oasis. 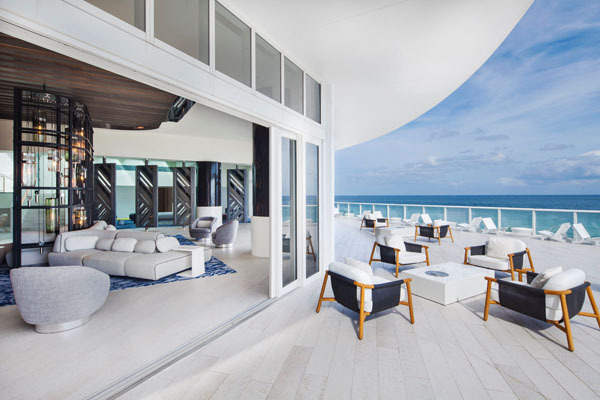 W exceeds its reputation for cutting-edge designs and contemporary luxuries with the reveal of a new renovation at the W Fort Lauderdale and Residences establishment. The new face-lift offers a fresh, vibrant and ultra-glamorous design to the 517 rooms, suites and extended stay options. 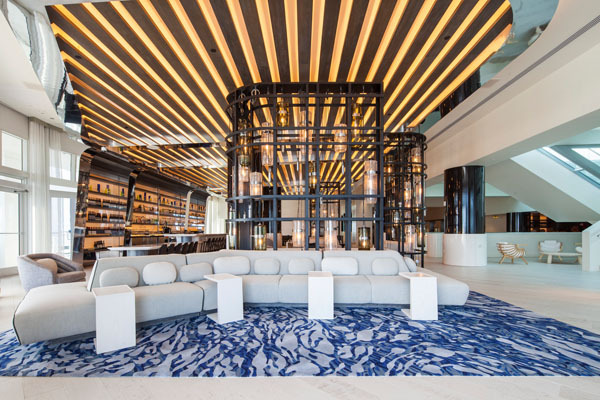 From the moment of arrival, guests are greeted by the pulsating living room where guests can simultaneously feel at home during the day and at a nightclub in the late hours. The space encompasses a laid back feng-shui design offering tempting finger food from the menu, a new elegant sushi bar headed by sushi chef Shoji Hiyakawa, expertly crafted cocktails, and an outdoor terrace furnished with a range of comfortable lounges and chairs- perfect for lounging around and soaking up some sun. 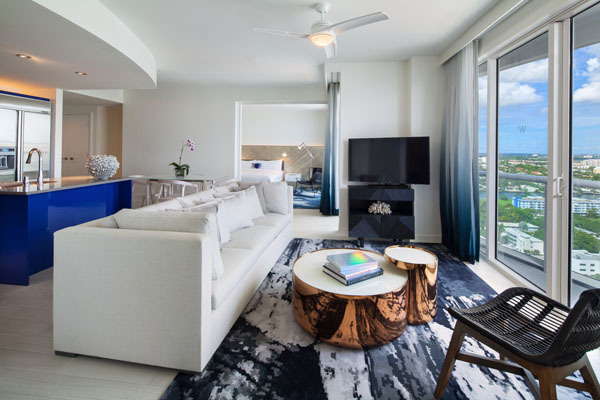 Each suite is designed to effortlessly blend the serene blues of the sea and the warm shades of sand to create a contemporary nautical design without the classic stripes and anchors weighing it down. 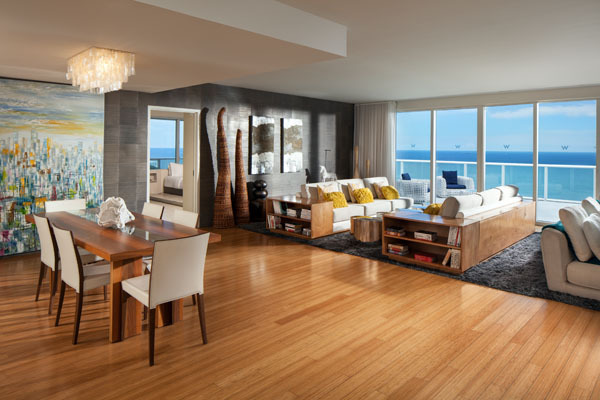 The fresh new décor is a breath of coastal air with luxury amenities in the bedroom and bathroom and we can’t forget the spectacular views from the balcony. The Whatever/Whenever button in the room is a new initiative designed to grant the wishes of guests, (within limits) whether it be forgotten toiletries to mariachi serenaded spa services. The 24/7-concierge desk is available to all guests as is the state-of-the-art fitness center and valet parking. As for the relaxation component, guests can choose to unwind at Bliss, the facial and massage mecca for rejuvenation and relaxation. Before being whisked away to utopia, indulge in a snack or two at the brownie bar or treat yourself to a manicure at the luxe nail lounge. The services offered include an oxygen facial treatment designed to rejuvenate and refresh your skin. If you’re looking to alleviate some built up stress, the deep tissue massage is perfect for getting right down to the cause. 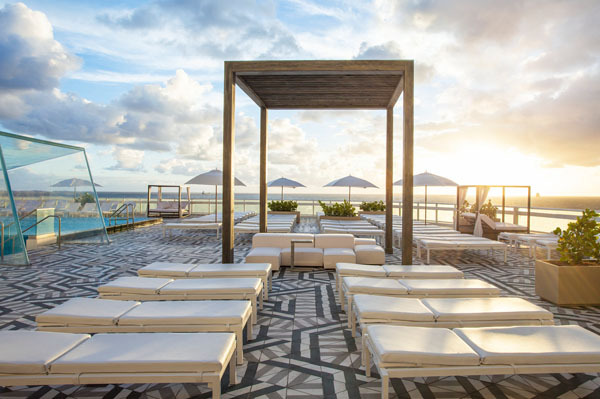 The WET Deck is another relaxation option and has recently been upgraded with lounge chairs, day beds, umbrellas and a full-service poolside bar for the ultimate package. The art-deco style floor is a view upon itself, but if you look straight ahead you will find miles upon miles of glistening blue waters and divine orange sunsets everyday. For an elegant night out, Steak 954 is the love child of Stephen Starr who was named Outstanding Restaurateur of the year in the 2017 James Beard Foundation Awards. Starr showcases the pure flavors of dry-aged meats and freshly caught seafood to provide a unique dining experience, particularly with the 15-foot long aquarium populated by 175 mesmerizing jellyfish that greet you as you walk in. Soon to launch is Starr’s second restaurant on the property, El Vez, a Mexican eatery that will bring a vibrant setting, where tradition and innovation collide, that celebrates regional Mexican culture. 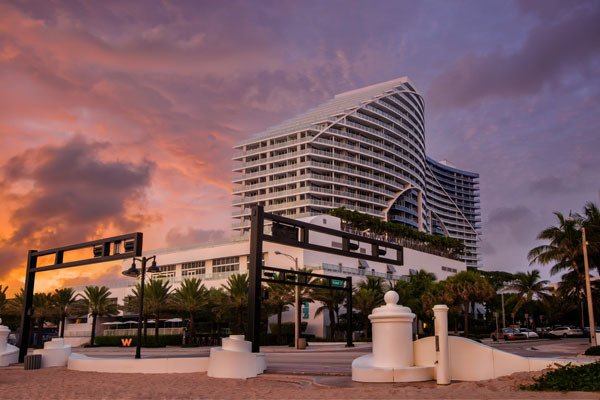 During the day, take a stroll down Las Olas Boulevard, to explore 17 blocks of sidewalk cafes, including the premier Italian restaurant Louie Bossi, world class shopping comprised of an eclectic collection of boutique shops, internationally acclaimed art galleries, as well as a sizzling nightlife. To travel in style, skip the uber and opt in for a guided water shuttle who will tell you all about the famous owners of some of the most beautiful residences in the area. If you are looking for an adventure, a 30 minute drive will take you directly to the Everglades where you can climb aboard an airboat and zip through the river coming face to face with exotic birds, native fish and maybe even a gator or two.